AF Whiteboard Renovating Solution 125ml AWBR125 – AFI50859 – OfficeYoo! 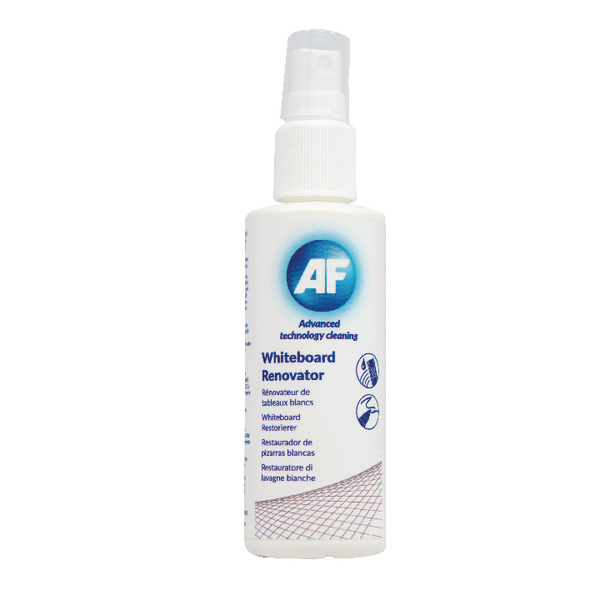 The AF Whiteboard Renovating Solution is ideal to clean your whiteboard effortlessly and help remove stubborn ink staining that causes surface ghosting. An effective cleaning and maintainance solution to remove the ink residue to leave a pristine finish. Contained within an easy to use 125ml pump spray bottle.